PG&E has upped its financial settlement offer, proposing to dole out $85 million, rather than $49.5 million, to compensate local government agencies that stand to lose tax revenue as a result of the planned closure of Diablo Canyon power plant. In June, after announcing its plan to shut down Diablo Canyon’s two reactors in 2024 and 2025, PG&E offered to pay SLO County agencies a cumulative total of $49.5 million over a nine-year period. Six of SLO County’s seven cities then protested, arguing in a letter to the California Public Utilities Commission (PUC) that PG&E’s offer did not adequately mitigate the economic impact of the nuclear plant closing. Grover Beach was the lone city in the county that did not participate in the protest. The holdout may have been due to Grover Beach’s somewhat awkward position of having a popularly elected mayor, John Shoals, who works a day job as a PG&E government relations representative. On Monday, PG&E appeared to have satisfied the six protesting cities by unveiling the utility’s new settlement proposal. Also, Grover Beach is expected to receive some settlement funds, which would be funnelled through the county government. In all, the settlement proposal would amount to $122.5 million to $147.5 million over a span of 15 to 25 years. That total includes $10 million that would go to an economic development fund. Also included in the offer, PG&E is committing to contribute tens of millions of dollars, possibly as much as $62.5 million, toward emergency planning over the course of the full decommissioning of Diablo Canyon’s two reactors and the transfer of spent fuel to dry casks. The process could take up to 25 years. San Luis Coastal is the agency hit hardest by the expected closure of Diablo Canyon. The power plant property taxes generate about $9.5 million annually for San Luis Coastal, or about 11 percent of the district’s total revenue. 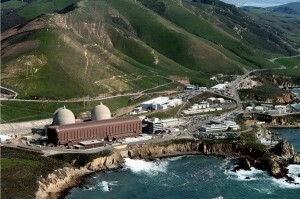 SLO County receives the second most revenue from Diablo Canyon property taxes. PG&E pays about $8 million a year in property taxes to the county, which accounts for less than 2 percent of the county’s budget. Though PG&E’s nuclear reactor licenses are due to expire in 2024 and 2025, the utility must still obtain regulatory approval for the closure of the power plant. The PUC is expected to hold a hearing next year on PG&E’s proposed settlement. How stupid do think people are? PG&E is paying nothing it is the rate payers that is getting shafted.Just wait and see how long before they ask for another rate increase. The utilities commission will be right in lock step with them. ” $9.5 million annually for San Luis Coastal,”, so cut only administration by 9.5 million, problem solved.